Sheri Berman is professor of political science at Barnard College of Columbia University. Post-1945 Western Europe benefited greatly from center-left parties offering real solutions to real problems. Where has that left gone? A review of Making Waves: Democratic Contention in Europe and Latin America Since the Revolutions of 1848 by Kurt Weyland. The irony at the heart of Europe’s current crisis is that although the EU originated as part of a post-1945 effort to consolidate democracy in Western Europe, the Union’s travails are now pushing the continent in the opposite direction instead. 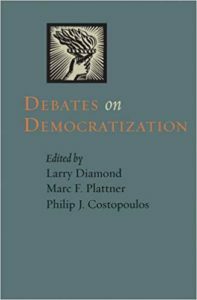 The history of many of today’s established democracies shows that “out-of-sequence” democratization can lead to eventual success. A review of The Origins of Political Order: From Prehuman Times to the French Revolution by Francis Fukuyama.